On this week's episode of Talk Back, hosts Eric Nesbit & Justin Gay head up the field to tackle the AFC North in their NFL divisional preview series. Following that discussion, they drive to the NASCAR circuit to debate where Matt Kenseth may be employed in 2018 now that his time at JGR is coming to an end, and then they talk Kirk Cousins' double franchise tag and the McGregor/Mayweather fight in the lightning round. 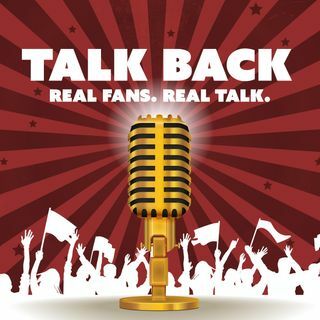 Follow Talk Back on Facebook & Twitter at @TalkBackFanTalk ... Maggiori informazioni and hit up the show with questions or ideas for future episodes.